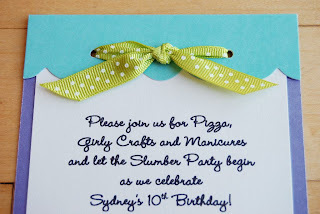 Snippets By Mendi: Sydney's 10th Birthday Party Invites! 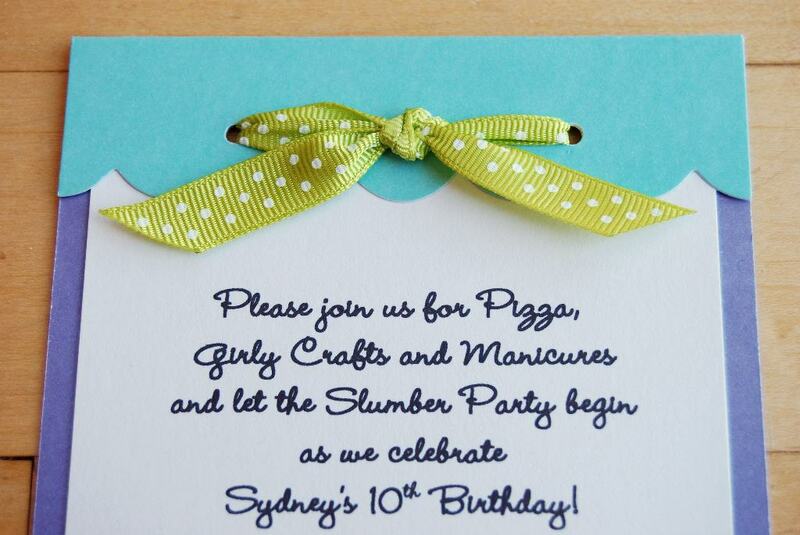 Sydney's 10th Birthday Party Invites! I just put the finishing touches (addding wiggly eyes) on Sydney's birthday party invites last night. I found this package of print-your-own invites at my friends yard sale earlier this summer for $1. Gotta love that. I could have totally made these on my own, but it was so fun cranking these out in just a few hours. 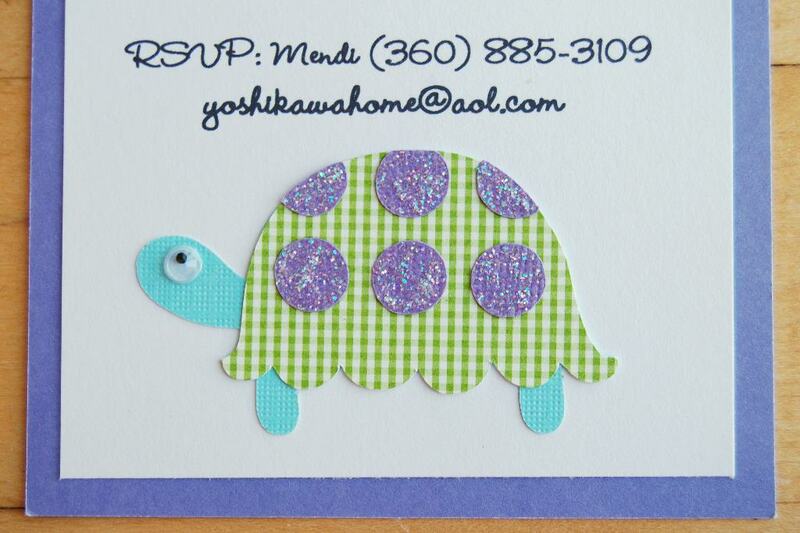 The set came with these really fun lime green envelopes and I was thinking of dressing them up with a daisy accent or something and then Sydney came up with the suggestion of adding a turtle instead. It turned out to be perfect for this color scheme. 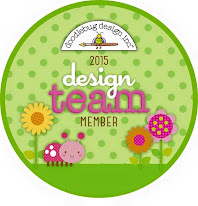 I diecut the little guy using my Silhouette with a design by Lori Whitlock. 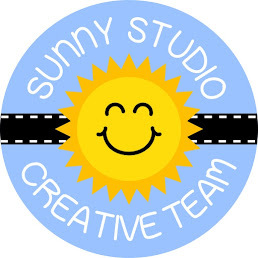 I had personally sent them several requests begging them to design a cute turtle with her as a designer for many months. In response they kept cranking out ugly turtle after ugly turtle by other people (sorry to the other designers out there) until I finally got the one I had been waiting for. I love his cute little scalloped bottom. Sorting out polka-dots on a dozen turtles was a bit of a pain, but they were done in 3 hours from beginning to end, so who am I to complain? Mendi, it has been awhile since I've been here! 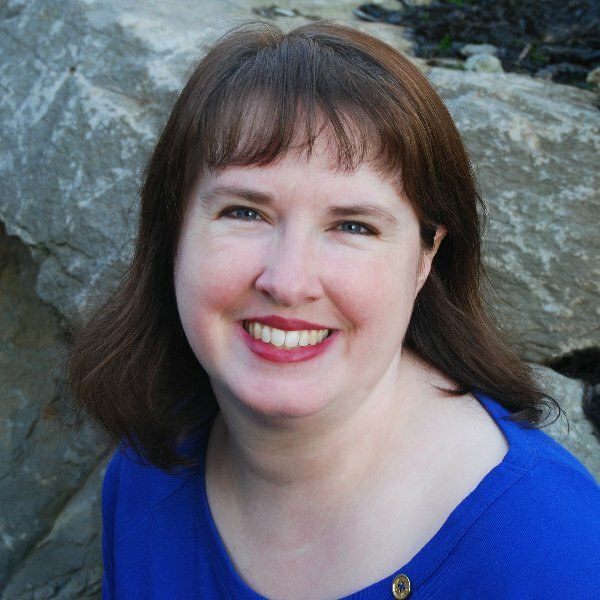 Great to see some new projects! Hugs!